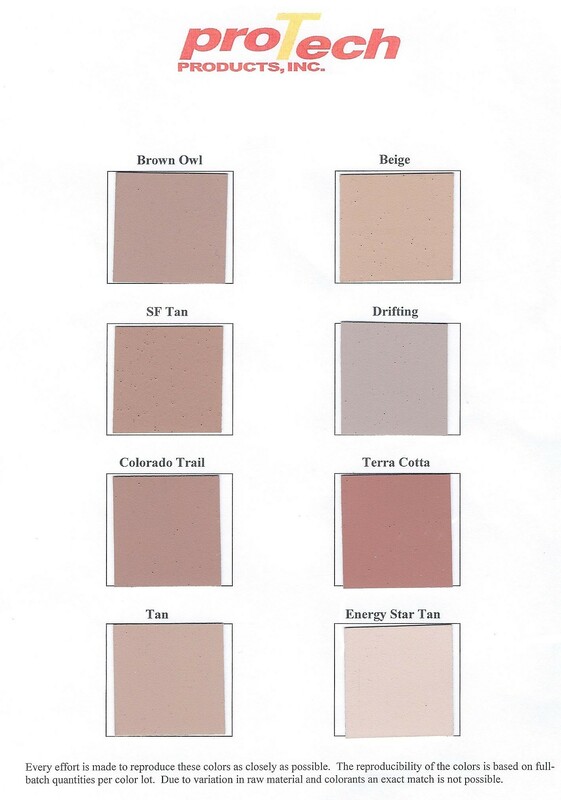 PRODUCT: Pro-Tech EC-100 Acrylic Elastomeric Roof Coating,, CRRC Rated Energy Star Tan Color. 63% Solids. 5 gallon Pail. Price/Pail. 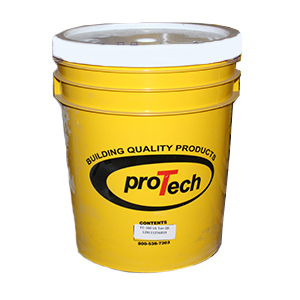 DESCRIPTION: EC-100 is a durable 100% acrylic elastomeric coating with 300% elongation. EC-100 is designed specifically for use over EPDM, new polyurethane foam roofing systems and for conventional roofs requiring superior adhesion and solar reflectance. CUSTOM COLORS: Standard in white, tan gray. Custom colors available. * Low temperature flexibility down to -15F. * Excellent dirt pickup resistance maintains high reflectivity which reduces substrate temperatures, prolonging roof life and reducing interior temperatures and energy costs. b. Initial Tensile Strength 350 psi @ 73F. a. 210% Elongation @ break @ 75 degrees F.
b. 350 psi Tensile Strength @ max @ 75 degrees F.
a. UL 790 Class A (NC), Class B (C-15/32). Thoroughly clean off all dirt and debris. Seal around roof vents, pipes, repair cracks, breaks, and open seams. Apply only when not subjected to rain, high humidity or dew before curing. Acrylic base coatings must cure before being subjected to freezing (50 degrees F.) or moisture. Example of ideal conditions 4-6 hours above 70 degrees f. and low humidity. Roll or spray evenly at a rate of 1 gallon per 100 Sq. Ft. This will achieve a mil thickness of approx. 9 MILS per layer. Total mil thickness is dependent on application (25 mils is typical RV application). Paint Roller Cover, 9-inch, 1-1/4 inch nap, 1-1/2 ID, Solvent Resistant Polyester NPa and Core. For use wiht all types of coatings including solvent based coatings, epoxies, and urethanes. Price/Each.